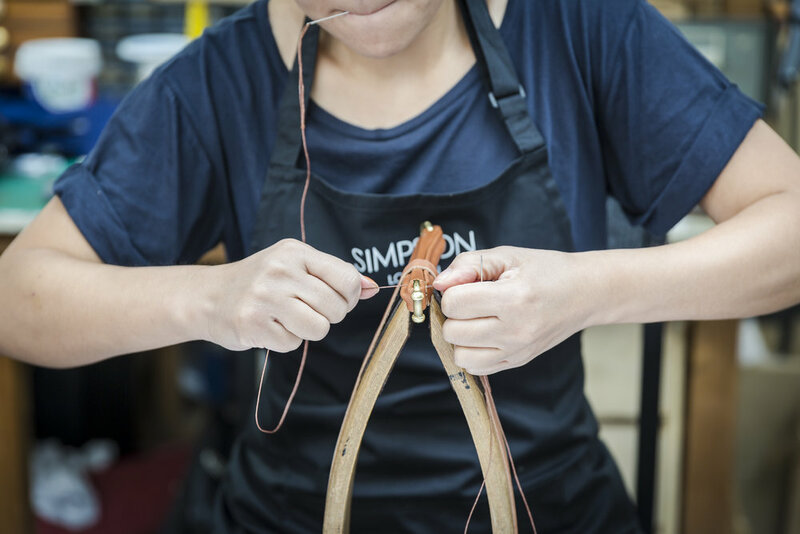 Simpson London's bespoke service is a journey through the craftsmanship process that is to be treasured as much as the end creation. From choosing a design to then selecting from the finest leather hides and exotic skins to finally picking the finishings and hardware required to create a truly one-of–a-kind exclusive accessory that makes a unique gift for yourself or a loved one. The Simpson London Bespoke service is available on request for personal and corporate gifting requirements. For further information please contact enquiries@simpson-london.com or use the contact form below and our customisation team will be in touch with you shortly.